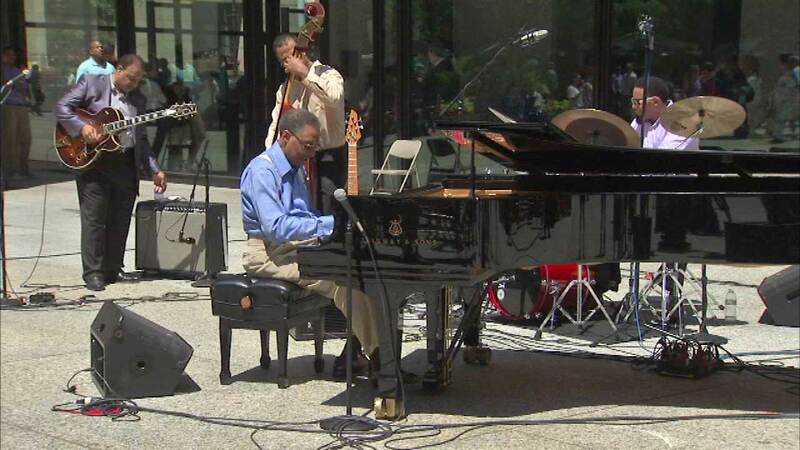 CHICAGO (WLS) -- Jazz legend Ramsey Lewis and his trio treated Chicago to a free concert at Daley Plaza Friday. Lewis is celebrating his 80th birthday as well as 50 years in the music business. Friday's concert was part of the "Under the Picasso" noontime series presented by the City of Chicago.